PREMIER Campbell Newman is hinting that within three years, his government's controversial bikie laws could be gone. 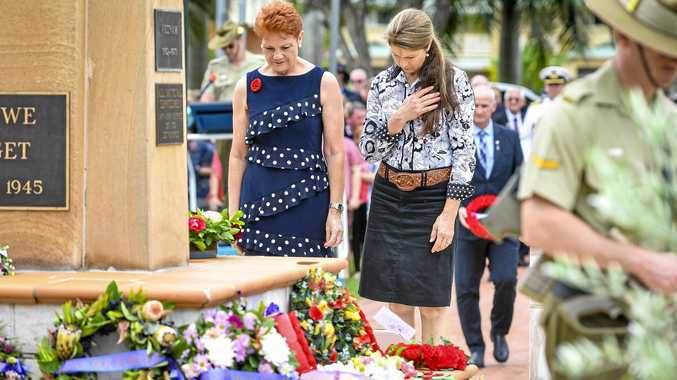 In Cairns, Mr Newman told reporters if bikies begin leaving their gangs and the legislation does its job then "in less than three years' time, these laws can disappear from the statute books in Queensland". "I said previously last year, that I didn't particularly want to see these laws implemented, but the sooner we can get rid of them the better," Mr Newman said. "It starts by seeing us get rid of the gangs." The Vicious Lawless Association Disestablishment Act, or VLAD laws, are facing growing opposition in the community. Earlier this week, a recreational rider earned an apology from Police Commissioner Ian Stewart after enduring drawn-out interrogation by authorities as he rode between Brisbane and the Gold Coast. On Tuesday, Independent MP Peter Wellington highlighted comments made by the now Attorney-General Jarrod Bleijie before he was a minister. From the Opposition benches in 2009, Mr Bleijie said a government that attempts to limit a person's freedom of association - precisely the goal of the VLAD laws - "is a government to be feared". Mr Bleijie said the government did not like doing it "but we are not going to get cold feet, unlike people like Peter Wellington who supported our laws in Parliament".